Great gift idea! Lavender essential oil with a touch of peppermint essential oil gives our exclusive formula a rich but mild fragrance. Our master herbalist mixes certified organic shea butter and sunflower oil for a silky smooth, non-greasy moisturizer. 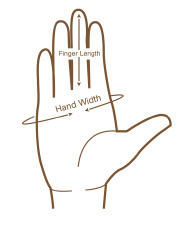 Massage it into hands after a day in the garden or wear under garden gloves to soften hands while you work. Rich in Vitamins A and E. Compare our ingredients to other brands. Lavender essential oil with a touch of peppermint essential oil gives our exclusive formula a rich but mild fragrance. Our master herbalist mixes certified organic shea butter and sunflower oil for a silky smooth, non-greasy moisturizing cream. 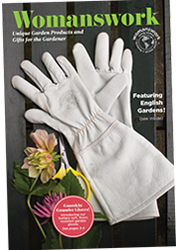 Massage into your hands after a day in the garden or wear it under your garden gloves to soften hands while you work. Rich in Vitamins A and E.
This product is a Womanswork Exclusive! Ingredients: Spring Water, Sunflower oil, certified organic Shea Butter, Vegetable based emulsifying wax, Plant-derived fatty acid, Lavender Essential oil, Peppermint essential oil. A minimum amount of preservative (less than 1%) is added to prevent bacteria: phenoxyethanol and caprylyl glycol. No paraben or formaldehyde is used. No artificial fragrances are used.